Broken Bones….. – Boomerverse HQ…. 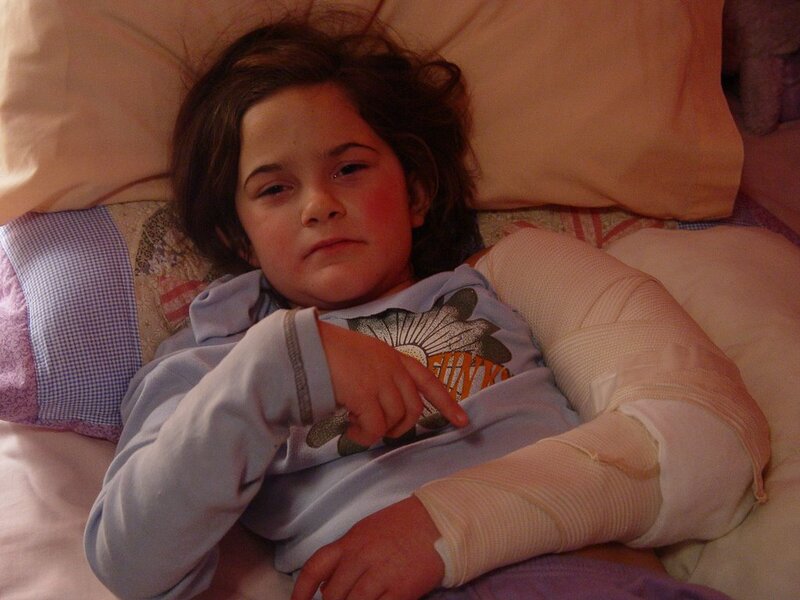 Home / News from Abroad.... / Broken Bones…..
Well, I thought Samuel would be at least the first one to break a bone, but no, Holly has taken first place in that contest! And to make it even more odd, she did this by replicating the exact same scenario that caused Sam to knock himself out in Eastbourne…..
She was cycling around the BMX park quite well, over bumps down the other side, until she rather oddly must have found some sort of courage to attempt a higher ramp than she would ever normally have contemplated. My concern for her as she raced up one side was tempered slightly when she did reach the top OK, only for it to the leave the planet as I saw her simply drop off the other side out of view. Yes she did have her helmet on, thank god. But no damage was done to the helmet, no scratches to her face, she didn’t knock herself out but it looks like the bike may have knocked her nose, as it was bleeding a little. In true Canadian fashion, although in this instance it was well founded, the pool attendents came out immediatley when Leigh went and got them, and went overboard in their care for Holly. (Mind you, after being in a pool of nearly 30 degrees, I would have thought a coat would have been put on, before i braved the cold in just my vest and shorts!) The ambulance was called, came within about 5-10mins, the 2 guys treated Holly like a princess, to which she said to them “You guys are so nice!” in true Holly fashion, and got her to Kelowna General. She was seen quite quickly, amongst the constant stream of ski-ing, snow boarding and ski doo injuries that seemed to be coming in by the minute, and when the x ray turned up, it showed a clean break in the upper arm. So that must have been what took the brunt of the fall. It’ll take about 6 weeks to heal, but heal it will the doctor assures us. So now we have an injured princess, who screams in pain when she has to move. I’m sure it is sore, but there may be a mix of the arm and the drama queen going on. Previous post: Deal Protects Canada Rainforest and more……. Next post: Is That a Bear?…….